This presentation is from NHS Improving Quality’s (UK) Enhanced Recovery Summit in 2012 and was delivered by Professor Henrik Kehlet. 3 years on and there is still much to do if we are to transfer enhanced recovery into acute medicine. Professor Kehlet highlights the care of fractured neck of femur patients as being one area where enhanced recovery could dramatically improve care. 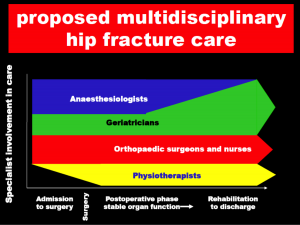 He highlights early surgery (<24hr), multi-modal non-opioid analgesia, oral nutrition, standardised fluid therapy, an aggressive transfusion policy, oxygen therapy, immediate mobilisation and physiotherapy, and early planning of discharge as being enhanced recovery process components that could make the difference. 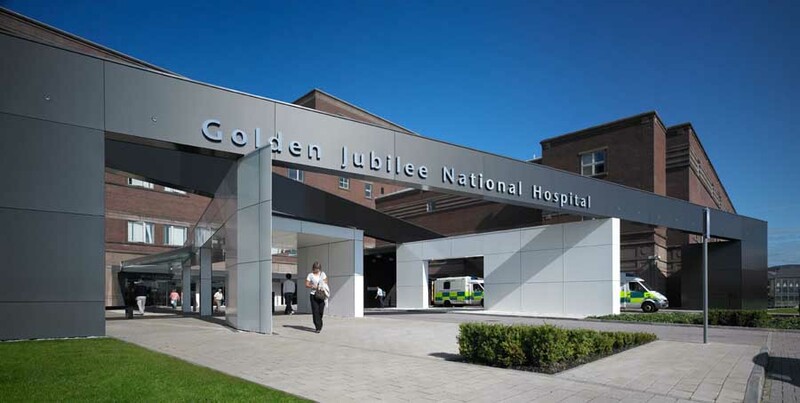 A comprehensive summary concluding that there is consistent (albeit limited) evidence that enhanced recovery programmes may reduce length of patient hospital stay without increasing readmission rates in the NHS (it was mainly general surgery studies that were looked at and not orthopaedics). They conclude that further single-centre RCTs are not a priority. Rather, what is needed is improved data collection and reporting of how enhanced recovery programmes are implemented, resourced and experienced in NHS settings. Paton F, Chambers D, Wilson P, Eastwood A, Craig D, Fox D, et al. Initiatives to reduce length of stay in acute hospital settings: a rapid synthesis of evidence relating to enhanced recovery programmes. Health Serv Deliv Res 2014;2(21). Here are the slides from Rob Middleton’s presentation today at the Streamlining Pathways in Orthopaedic Trauma Care in Birmingham. According to the audit results, over 90% of all hip and knee arthroplasty patients now benefit from an Enhanced Recovery pathway within NHS Scotland. Fantastic news – this audit shows the great progress made within Scotland over the last 3 years. 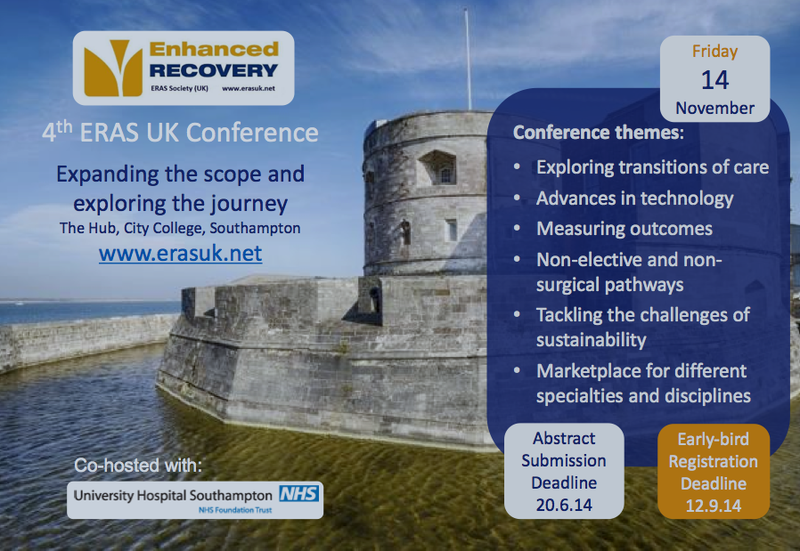 Please find information below about the 4th ERAS UK conference from Dr Fiona Carter on behalf of the ERAS UK Conference Organising Committee. Preparations are well under way for the 4th ERAS UK Conference: “Expanding the Scope and Exploring the Journey” which will be held on Friday 14thNovember, at The Hub, City College, Southampton. A flyer for this conference is attached and I would be grateful if you could share this information with any colleagues who may be interested in attending. 1. Exploring transitions of care including prehabilitation and post-discharge. There will also be a marketplace session for updates from different specialties and disciplines. We were recently invited to visit Australia and New Zealand to provide an update on Enhanced Recovery and also the conservative management of osteoarthritis. We enjoyed the trip and were fortunate to meet some great people doing brilliant work within the field. For those who attended here are some of the slides we used. Any questions, get in touch via the blog. Thanks to Char and Diane at Change Champions for organising the trip. From Dr Fiona Carter, on behalf of the ERAS UK Steering Board…. The closing date for abstracts is 20th June and the deadline for early registration is 12th September. Our website has had a makeover (www.erasuk.net) and I would be very keen to have your comments. At last Friday’s Current Controversies in Orthopaedic Enhanced Recovery, David McDonald and I were asked to present the current case for and against post-discharge physiotherapy following hip and knee replacement surgery. Here are the slides for those who requested them. In a lively session we hoped to stimulate debate and encourage our physiotherapy colleagues to give thought to their current and future practice. As a profession we need to better understand the type, intensity, timing and combinations of exercise training and physiotherapy interventions that are most effective at improving function quicker and to higher levels in our patients. 31st January 2014, Beardmore Hotel and Conference Centre, Glasgow, Scotland. The day is designed to update all those involved in orthopaedic enhanced recovery about problem areas that we all recognise. It is anticipated that the talks and debate will further our understanding of the problems and help to standardise the solutions. The day is aimed at all professional groups involved in enhanced recovery who wish to update their understanding of the subject. Although this is primarily aimed at those involved within orthopaedics many of the topics will be common to other specialties and thus all interested professionals are welcome to attend. To reserve a place please complete the registration form and send it to Kirsty Quinn, Beardmore Centre for Health Science Administrator by email at health.science@gjnh.scot.nhs.uk. Alternatively you can contact Kirsty on 0141 951 5910 for further information. What are you doing on 27th January 2014? 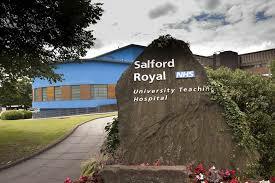 Join our colleagues at Salford Royal NHS Foundation Trust for an Enhanced Recovery Study Day. The day will include varying presentations from the whole multidisciplinary team. 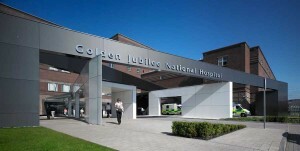 Including two workshops, one for orthopaedics and the other for Colorectal/Gynaecology/Urology. The keynote speaker is Mr Mattias Soop. Please see the programme below for full details and how to reserve a place.